Healthcare facilities are diverse, with staffing needs as unique as the care they provide. At Shiftboard, we’ve streamlined healthcare staff scheduling since we started out. Shiftboard is the top choice for healthcare organizations with large workforces and complex scheduling needs. Top-ranked facilities trust us with schedule coordination, credential tracking, communication, overtime reporting, and more. With Shiftboard, you can run your healthcare staff scheduling from anywhere, on any device. Our software is mobile so your entire operation is accessible 24/7. We’re dedicated to your success, so we guide you through the onboarding process and offer robust support after you have Shiftboard set up. When you choose our employee scheduling software for healthcare, you can focus on providing the highest quality of patient care. Maintain mandated staffing levels, manage float pools, and replace no-shows quickly. Improve morale and reduce turnover by allowing healthcare staff sign up and swap shifts. Cut time spent creating and managing the healthcare staff schedule and avoid unwanted overtime. Ensure your facility maintains compliance. Get alerts when certifications are about to expire. Shiftboard adapts to your healthcare organization’s needs. Our software is built to handle the complexities of major hospital shift scheduling. Shiftboard also fits the needs of long-term care facilities like Living Resources. Our healthcare staff scheduling software is made to handle complex scheduling situations and large healthcare workforces. Shiftboard helps you easily organize PTO requests and swap shifts. Our software also makes it simple for you find qualified last-minute subs as fast as possible, particularly when scheduling is complex. Additionally, coverage charts and labor forecasts can help your healthcare organization better manage expenses like over-staffing and overtime. Easily manage your critical healthcare staffing needs to make sure each shift, case, and unit has the right mix of skill sets and qualifications. Hospital shift scheduling and planning is easier when you know the right people are scheduled for each shift. Store all provider information in online profiles and set schedule guidelines to simplify compliance. 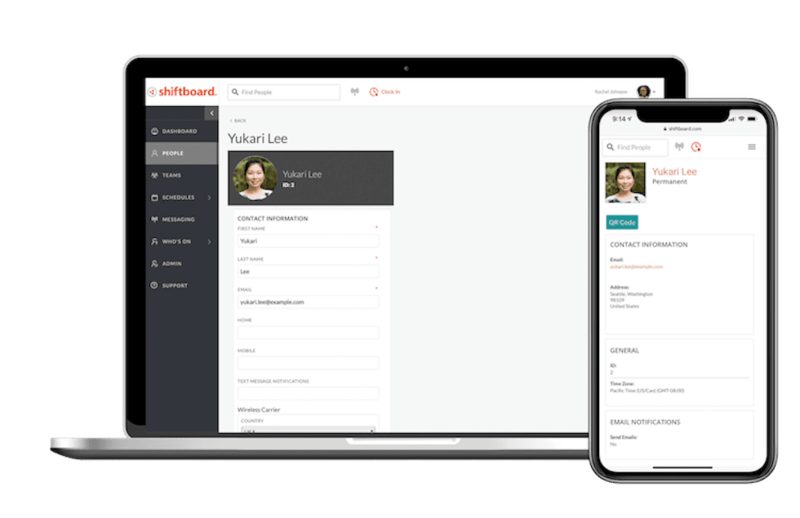 When using Shiftboard as your healthcare staff scheduling software, you can also automatically account for factors like seniority, union status, vaccinations, and competencies. Additionally, you can send alerts for certification renewals, avoiding the liability of expired credentials. Healthcare staff scheduling and coordination is manageable with online schedule access, real-time updates, and instant communication. Multiple locations aren’t a problem. Hospitals, health systems, assisted living facilities, healthcare staffing agencies, and clinics can all benefit from healthcare staff scheduling software. With Shiftboard, you will always know exactly who’s working, who has cancelled, and when. Automated shift alerts get the right providers to the right place, on time, every time. Regardless of whether people are regularly scheduled or in a float pool, you can see who’s available and where they’re qualified to work. 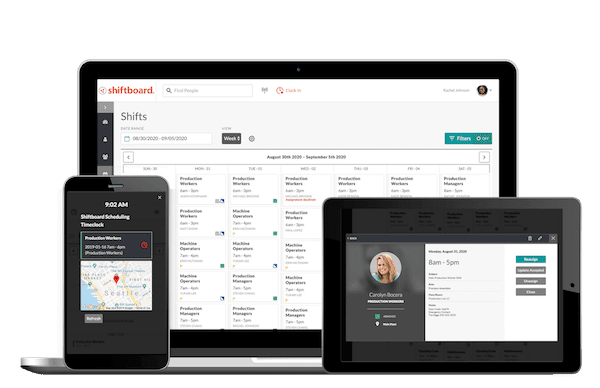 Shiftboard’s healthcare staff scheduling software makes filling in for call-outs simple and fast, even if there are hundreds of healthcare workers scheduled.